Yesterday was my last and longest run before my 25k on 5/10. What a relief to have that behind me. Long runs STILL freak me out...even distances I have done before (so, yeah...marathon training is gonna make me a complete basket case). Yesterday I logged 16 miles. 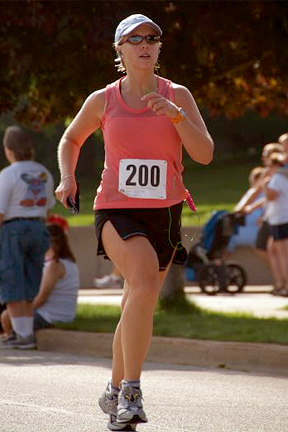 While it was a beautiful day and perfect running weather (full sun, ~50º), I just never found my stride. It was pretty much 2 hours and 50-odd minutes of mediocrity, unlike the 15 miler I had done 3 weeks earlier in the cold when I felt like I had wings on my feet...and then a few days later fell ill with a respiratory nastiness. I haven't really felt 100% since that hit, though I think by this weekend I should be pretty close--3 weeks after first feeling sick. So I'm really looking forward to the next week of running...I enjoy short tapers. After a couple of hard weeks and months of working towards a goal, the idea of taking an easy week is very welcome. Though I may not be saying this before a marathon taper...2-3 weeks of decreased running is different than a little over a week. There's a reason so many experience "taper madness." Wow- I can't even imagine running 16 miles right now- good going!!! Great job on the 16 miler - good or not. I've found running's like that... from wings on your feet one run to anchors around your ankles on the next. Have fun going out to dinner. Who's coming to town? Katie Holmes?!? Hehe. Wings vs. Anchors...that's about right! Cheffy/Sandy from RA is going to be in GR, so we're getting together for supper. Joni/Sockoni might be joining us, as well. Oh how fun! I am so jealous! Three lovely RA ladies, how awesome is that?! ?